يقع فندق A Tropical Escape B&B، المصمم ليناسب كل الضيوف سواء كانوا من رجال الأعمال أو السياح، في مكان ممتاز في أحد أكثر المناطق تفضيلاً في ميشن بيتش. يسهل الوصول إلى هذا الفندق ذو 4.5 نجوم من المطار، فهو يبعد عنه مسافة 150 km فقط. يشكل هذا الفندق ملاذاَ مريحاً للاسترخاء ويمنح زواره فرصة للاستجمام والتجدد، وهو يقع على بعد خطوات من المعالم السياحية الكثيرة للمدينة كمثل: ويت تروبكس. يقدم A Tropical Escape B&B خدمات لا غبار عليها وكل أشكال اللياقة وحسن الضيافة اللازمة لإسعاد ضيوفه. إن واي فاي مجاني في جميع الغرف, واي فاي في المناطق العامة, صف السيارات, غرفة عائلية, جولات هي جزء فقط من الخدمات التي تميز A Tropical Escape B&B عن باقي الفنادق في المدينة. ادخل إلى واحدة من الغرف 3 وتخلص من عناء نهار طويل بمساعدة مجموعة كبيرة من الخدمات كمثل تلفزيون بشاشة مسطحة, اتصال لاسلكي بشبكة الإنترنت (مجاني), غرف لغير المدخنين, مكيف هواء, شرفة/ تراس الموجودة في بعض الغرف. كما أن مجموعة الخدمات الواسعة الموجودة في الفندق لضمان راحتك تترك لك الكثير من الخيارات لقضاء وقتك أثناء فترة إقامتك. مهما كانت دواعي سفرك فإن A Tropical Escape B&B هو خيار ممتاز لإقامتك في ميشن بيتش. يُرجى العلم بأن هذا العقار ليس مناسبًا للأطفال دون سن 18 عامًا. We had a wonderful stay here. 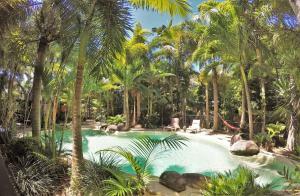 The owners are very interesting people who do all they can to ensure you have a pleasant stay. The property itself is just wonderful. Clean, large rooms and you have the run of a large lounge with TV area and pool table. The garden area is also lovely. Cannot be faulted and would highly recommend. One of the best we have ever stayed in. Had a great time with Noel and Dot enjoyed lovely breakfasts and do it yourself bbqs. Mission beach a great time especially as we went slightly off peak and we had the amazing beaches almost to ourselves. It is an easy tropical escape and we will go back again if Dot will have us! Friendly service, comfortable rooms, beautiful surrounds. My wife and I enjoyed our stay very much and look forward to returning to Mission Beach and seeing Dot & Noel again in the future. 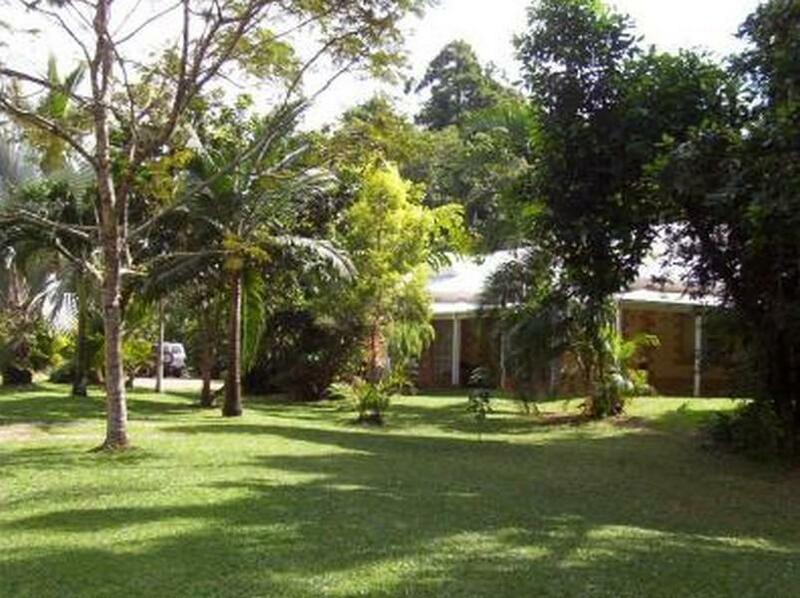 the B&B is set into beautiful rainforest gardens yet close to everything. Dot was very helpful with advice on dining choices and where to go around town and we hope to spend a little longer next time. We had a wonderful three night break at Dot & Noel's B&B. There are three ample sized rooms, all are en-suite. The place was spotless, there is a huge amount of room indoors and outdoors where guests can relax, a clean swimming pool, a pool table, books, DVDs, a bar/kitchen, free wi-fi, all available for guests. It's a few mins walk from the beach, which is amazing. We highly recommend you stay here, you will be made to feel very welcome and your belly will be full after the tasty breakfasts! Was made to feel at home with friendly atmosphere and useful advice. Nothing was too much trouble for Dot and Noel. Magnificent in every way. We hope we can return soon. We have a great stay in this B&B. While it is not easy to find at night (because there is no light), the room is wonderful and very quiet. The B&B has a big sitting room and dinner room, which are very comfortable for guests to have breakfast. The breakfast is also excellent (if you like English breakfast). Stayed just for one night but would loved to stay for longer. Hosts were exteremly friendly and welcoming. Room was beautifully decorated and had an exteremly comfy bed. Breakfast was delicious! Unfortunately it was raining while we stayed, and we couldn't enjoy the beach. However we loved the B&B, great hospitality, big and clean room, lot of DVD's to choose from, pool, free wifi... good value for money. I would go again!